IN MY ROSARY were formed in 1992 by the musician Ralf Jesek (vocals, instruments, music, lyrics) and the photographer Dirk Lakomy (lyrics). Originally planned to be a one-time cooperation, they became (rather accidentally) a constant within the international Darkwave / Alternative scene over the years. Already their first release "Those Silent Years" (1993) received excellent reviews all over the world and is seen as a classic nowadays. Being regarded as one of the pioneers of Darkfolk at first, they soon demonstrated that one category is definitely not enough for their music. 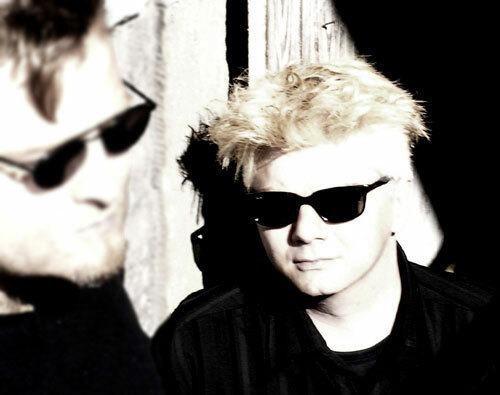 From the very first they mixed several Darkwave styles to achieve their special sound. From acoustic to electro, from Darkfolk to Angstpop - IN MY ROSARY never cared about exterior expectations and cut their own path. This "dourness" may be one reason why the project has got a faithful following - and even became a reference for other bands. "Dreamy melancholic melodies carry deep and melancholic thoughts" - this press excerpt describes a little bit of what made up IN MY ROSARY. Their motto was "less is more", and so they avoided any gadgets to get to the essence of their music and emotions. In 2011 the project IN MY ROSARY was officially disbanded and since then Ralf Jesek continues its musical idea with his former live musicians Martin von Arndt, Holger Diener and Hansi Hünig under the moniker I-M-R. Besides IN MY ROSARY Ralf Jesek was/is also songwriter and singer of the Wave Pop band DERRIÈRE LE MIROIR and has released the album "Perfect Vacation" under the project name MARY'S COMIC on Syborgmusic.